Carrot cake with cream cheese frosting chick cake pops! This cake was for my sister's birthday. It is chocolate cake with peanut butter buttercream with mini chocolate chips filling and chocolate buttercream frosting. 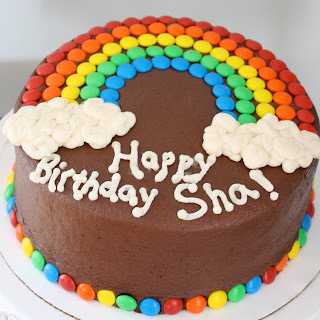 Happy Birthday Sha! My daughter's christening was this past weekend. I decided to create a soft pink and off white dessert table that included a lemon cake, chocolate cake pops, almond sugar cookies and white chocolate covered Oreos. Simple but yummy!